photo by Michael Paul CC BY-NC-ND. Suspense, as the plastic seal dissolves on your tongue. Satisfaction, as your taste buds are bombarded by the release of bright liquid detergent. Confusion, as your gag reflex attempts to comprehend the flood in your throat of what had appeared to be fruity goodness. A thrill, as what detergent remains in your mouth moves swiftly down your esophagus and into your stomach with a fiery burning sensation. You have just joined the movement to explore the idea of creative eating. You have also likely just begun your journey to the emergency room. In the wise and very relevant words of Erich Fromm, a twentieth-century American psychologist, “Creativity requires the courage to let go of certainties.” I applaud you, then, for letting go of some certainties associated with consuming highly concentrated laundry detergent, such as the taste of soap, and abandoning the good health of your lungs, stomach, throat, esophagus, mouth, and trachea. Josh Simon, an incredibly trustworthy local despite the fact that he has two first names, can guide you in evaluating your creative decision to eat a Tide Pod and preparing to talk to your ER doctors about the experience. He is an expert in all things related to creative eating, having consumed not only several Tide pods, but also large quantities of Neosporin, vegetable fertilizer, and the beads that you find in a new pair of shoes. “Pro tip: don’t tell them that you ate a Tide Pod until you feel like you might actually be approaching death’s doorstep. As much as I love my craft, there are few things as annoying as the look of pity, confusion, and judgement that you will get when you tell your nurse that you ate a Tide Pod. Josh’s insight and consideration both surprised and impressed us, so we asked him about what creative eating means to him and the effects that expanding his diet has had on his life. His eyes cloud over then, and a small grin plays across his face. When I asked Josh what the physical effects have been on his body, he continued talking about a release of the mind and his hit YouTube channel, called “SmartEating4Lyfe”. 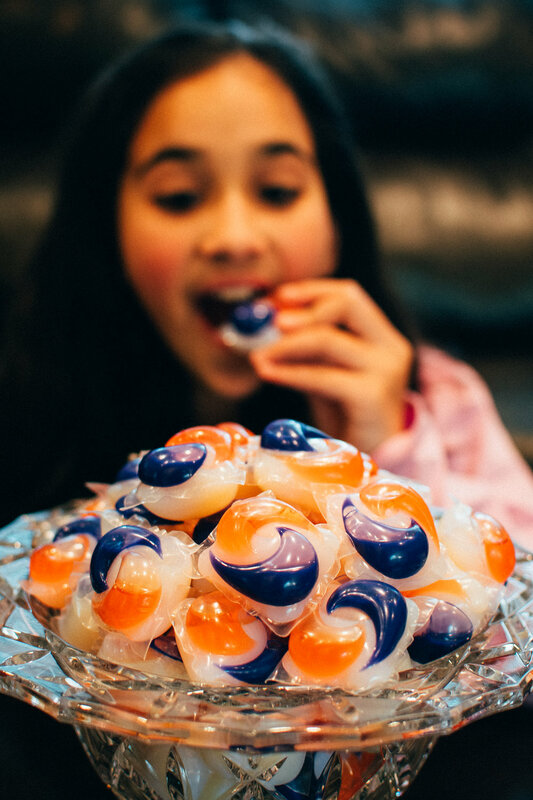 What makes a Tide Pod so enticing to eat? What makes it one of the most important landmarks in the quest of creative eating? Many would say that the bright colors and squishy texture have given consumers a false pretense about its taste, comparing the detergent to fruity gummies. Experts in creative eating, though, do not think that this is proper justification. They argue that these inedible eats should be consumed not to try to be a pre-existing food, but to add to the vast world of what is acceptable to consume. So, you’re home from the ER with explicit directions to never again eat a Tide Pod or any sort of cleaning product. Here’s the question that you have to answer: Will you listen to the demands of society or will you take the hospital bill in exchange for an expanded mind?